Classy, not trashy, nail art can be hard to achieve, but the motif du jour has ladies literally reaching for the stars! Recently I attended a party for an awesome new jewelry brand I do PR for, Motif, and fell in love with a manicure rocked by fashion blogger Ashley of Blonde Collective, featuring star nail art. 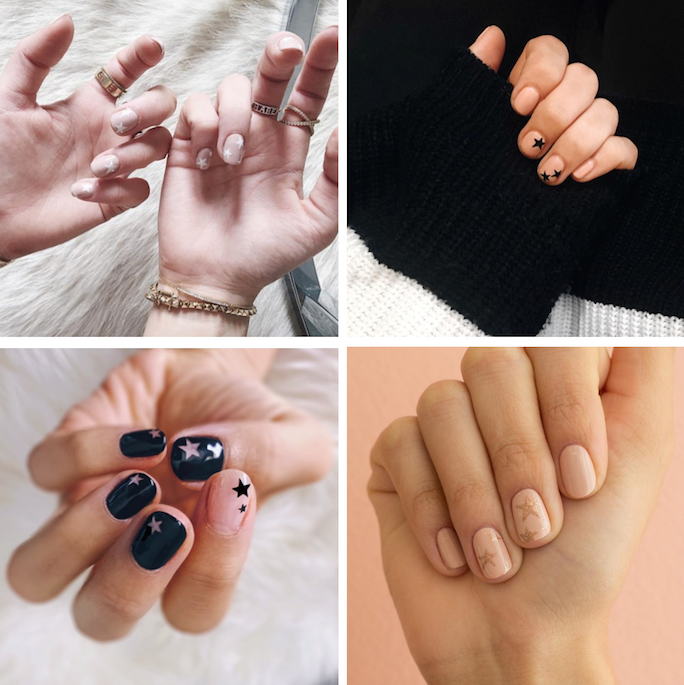 Manicures featuring asymmetric stars using neutral toned nail colors (think nudes, peaches, black, white and metallics) are the hottest nail art trend of the moment and a perfect way to bring a bit of whimsy to an otherwise subdued mani.